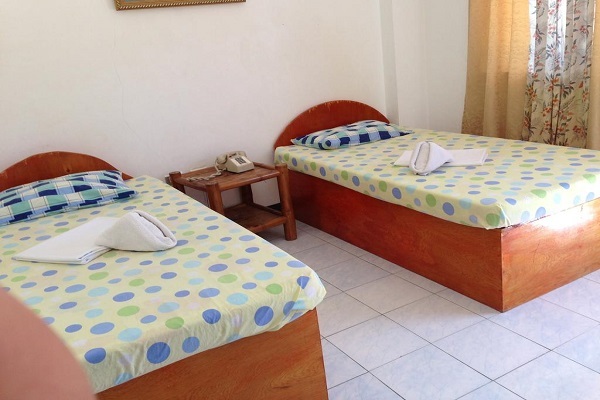 Ladaga Inn Hotel and Restaurant is a non-beachfront hotel located in Bohol’s tourist destination, Panglao; only a few minutes ride to the white sand beaches of this island. 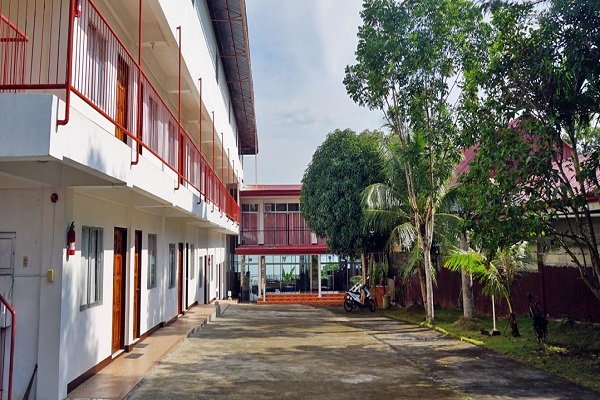 Forty three (43) room accommodations and other facilities are housed under a three-storey white-painted building with a wide garden backdrop of green grass, palm trees and other tropical plants. 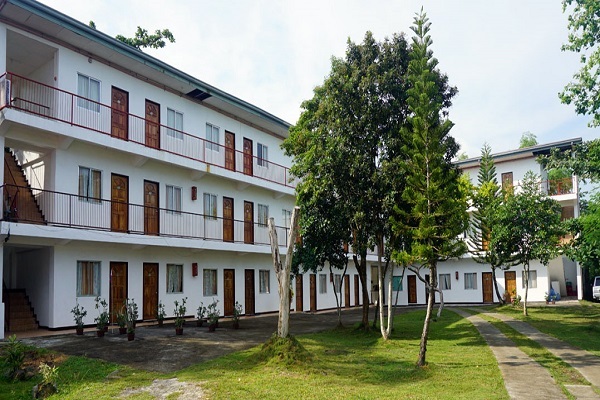 The Hotel is accredited by the Philippine Department of Tourism and offers facilities such as a function hall, conference rooms, restaurant, a karaoke bar; and services like free airport transfers, functions and seminars set-up, island travel & tours, free WiFi internet access with free laptop use, 24-hrs video surveillance and security services, and more. Hotel staffs are guaranteed to be well-trained and friendly; ready to go out of their way to please and make each guest feel at home at the hotel. Personalized treatment of the guests, which is a true Boholano trait, distinguishes the hotel from the others of the same trade. 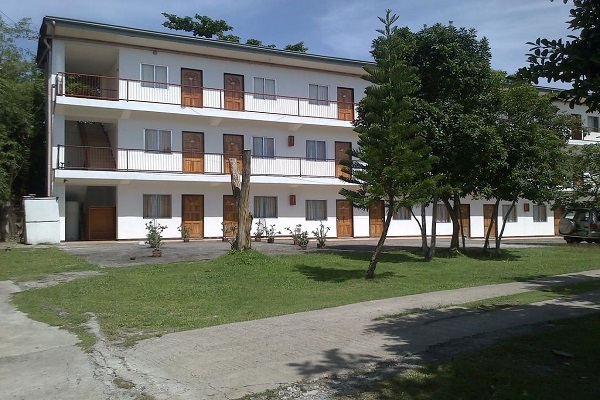 Ladaga Inn Hotel and Restaurant is located at Totolan, Dauis, Bohol, Philippines. Dauis is one of two towns of the island of Panglao. 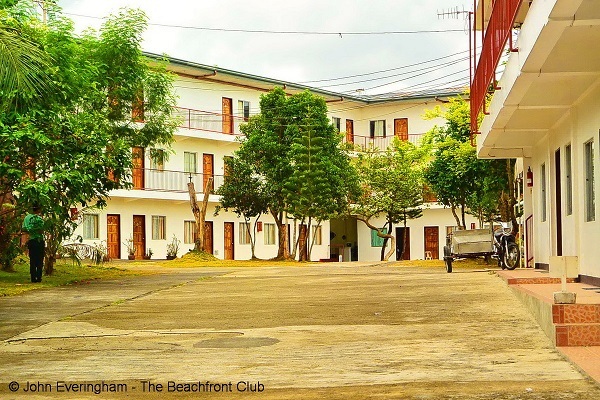 The hotel is only a few miles away from the Tagbilaran airport, the seaport, Panglao beaches and shopping centers. Ladaga Inn has various facilities and offer services for the total comfort and convenience of guests. There are forty three (43) room accommodations which are all fully equipped with modern amenities including free WiFi internet access and free use of laptops. The standard double room is fully air-conditioned and equipped with a double bed complete with a soft mattress, bedcovers, blankets, and pillows, bedside table, cable TV, WiFi internet access, intercom/telephone and private toilet and bath with hot and cold showers. The room has a maximum capacity of two (2) persons. 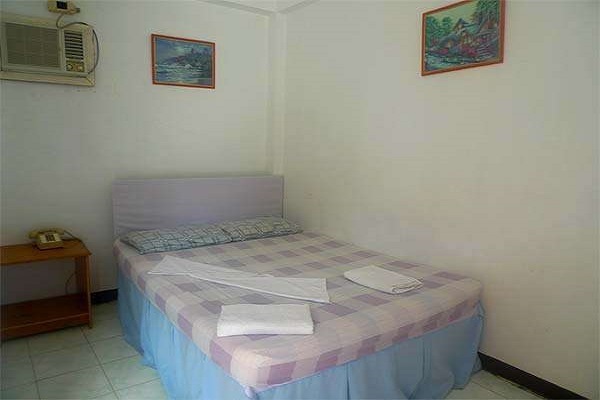 The standard twin room is fully air-conditioned and equipped with two (2) single beds with a bedside table in between. The beds come complete with soft mattress, bedcovers, blankets, and pillows. 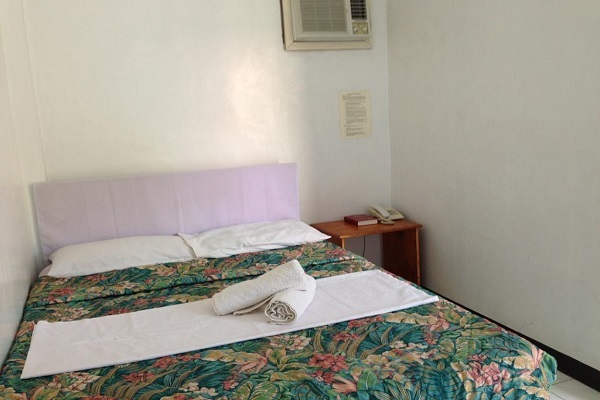 The rooms have cable TV, telephone, WiFi internet access, and private toilet and bath with hot and cold showers. The room can accommodate only up to two (2) persons. 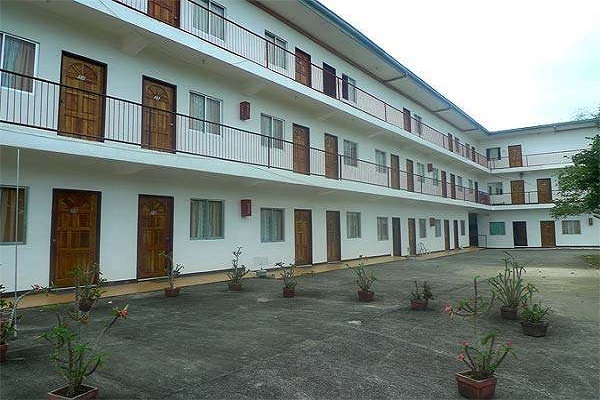 Ladaga Inn Hotel features a restaurant that serves Western and Filipino cuisine and offers catering and buffet services. The restaurant is spacious, provided with round tables and metal chairs and has a full liquor bar. It also has a karaoke bar which serves an almost unlimited variety of mixed drinks. The restaurant commands a good view of the Tagbilaran Bay. The hotel has two (2) conference rooms and one (1) function hall which are ideal for seminars, weddings, debuts, and other parties. The rooms/hall are equipped with projectors, sound system, and wireless microphones which are provided free of charge to the guests. Guests have also free use of the conference rooms and the function hall. 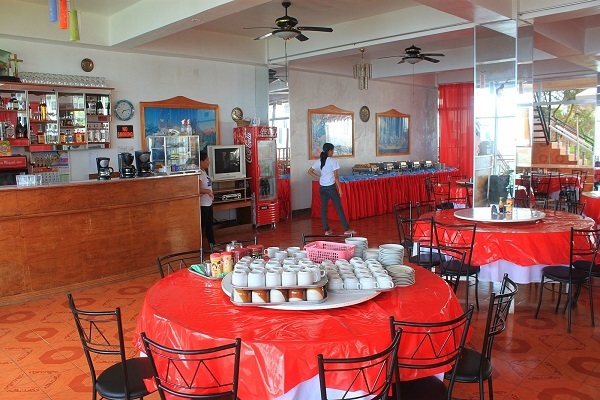 The function rooms commands a good view of the Tagbilaran Bay. Ladaga Hotel offers adventure tours to different Bohol beautiful spots such as the Chocolate Hills, Blood Compact site, and massive century old churches; including a Loboc River cruise with dinner, cave explorations, diving, island hopping and more. Air conditioner, double/twin beds, mattresses, bedcovers, blankets, pillows, bedside table, intercom/telephone, cable TV, WiFi internet access, private toilet and bath with hot and cold showers. Air-conditioned rooms, airport/seaport transfers, billiard equipment, catering services, conference rooms, courtesy vans, customer services, function hall, laundry services, mini bar, restaurant, safety deposit box, setting-up of seminars and parties, standby generators, tour assistance. Why not try Ladaga Inn Hotel and Restaurant? You will surely be treated to the best customer service in town with well-trained, warm and friendly staff. Yes, effusive Boholano hospitality is their trademark. Offering more than forty room accommodations with free use of both the conference rooms and the function hall, including the audio/visual equipments, is a plus factor. 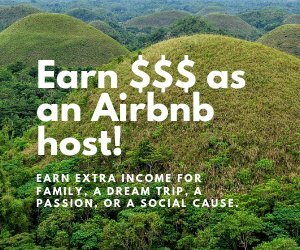 No other hotel or resort offers such to their customers in the entire Bohol province. Although minus a swimming pool, guests can practice their swimming prowess at Alona Beach or other white sand beaches of Panglao. The Hinagdanan Cave, also in Panglao, has a natural underground swimming pool of very cool spring water. It would be a thrill diving into chilly waters under overhanging stalagmites and stalactites. For comfort, conveniences, and rooms which are way below standard rates and so easy on the budget, choose Ladaga Inn Hotel and Restaurant for your vacation destination or for functions.